This powerful strain was bred by DNA Genetics to be a power house of THC. It is a hybrid of two powerful and flavorful parents. Sour Kush medicinal cannabis has relaxing effects and mild mental stimulation. It can improve behavioral control in adult ADHD. It can treat severe nausea and improve quality of life in many chronic pain syndromes. We will look at its effect in insomnia. Indoor/Outdoor Yield Yield Growing outdoors in a sunny environment, you can expect 16 ounces per plant. 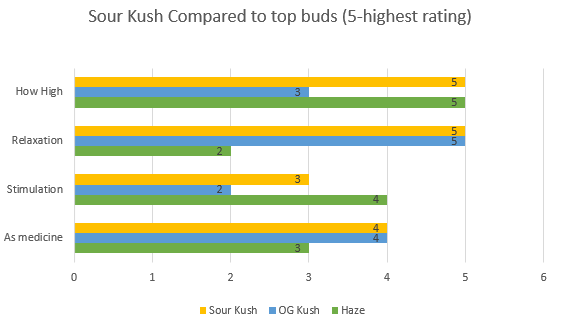 Sour Kush will also produce high yields indoors, in a green house, in soil, or hydroponics. You can get 12 ounces per meter squared indoors. Flowering time Sour Kush buds will flower indoors in about 9 weeks. 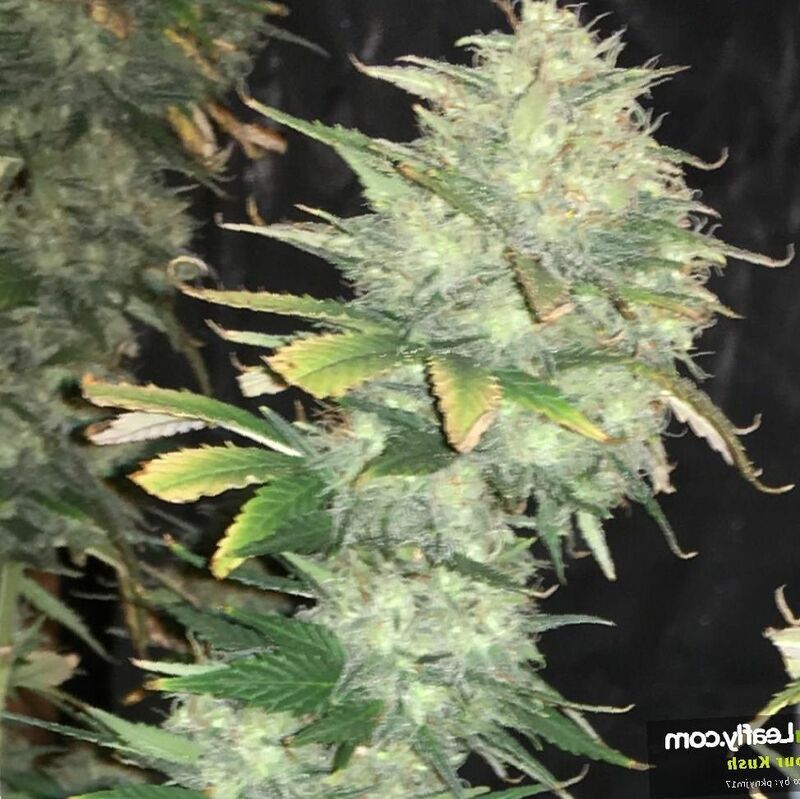 Harvest Sour Kush weed plants will be ready for harvesting outside in the of the month October, near the middle of the month. Disease resistance Sour Kush has a significant amount of disease resistance. Plant Height Sour Kush cannabis plants are a medium height, between four and six feet. Adverse effects Sour Kush is a strong Indica. It can cause some drowsiness, drying of the mouth, and drying of the eyes. This is a very serious strain. With THC levels up to 25 percent, this is one of the most powerful weeds on the market. It is a descendant of the famed OG Kush. OG is said to stand for ‘ocean grown’, referring to the fertile lands off the California coast, of course, not literally on the ocean. The Kush refers to the Hindu Kush mountains, from which the landrace strain which were the parents of OG Kush hailed. Therefore, the name itself gives you the history. Sour Diesel is another strain, famed for its flavor and potency. When you combine the two, you get a true, flavorful knockout punch of a weed. Sour Kush is a medium size plant, standing about four feet tall. You could walk up to it, bend slightly and smell the powerful scent of the buds. By all means, be discreet if you are growing this strain. It may be legal in your jurisdiction, but you still don’t want the whole place smelling like Sour Kush. The leaves are bright green and wide and the buds are studded with powdery, white trichomes packing a serious punch of THC. 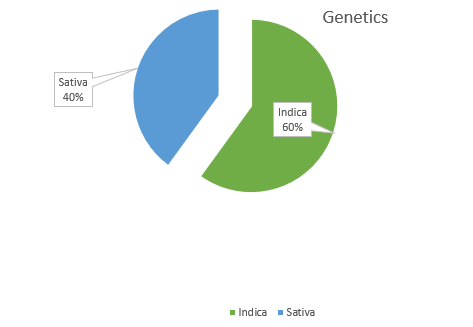 The buds have a typical Indica structure, large and juicy. The mature plant flowers into a rainbow of color, bright green, orange hairs, and bright, white trichomes. This is a beautiful plant. The scent of Sour Kush is sour, diesel, earthy, spicy, and citrus. It smells like a natural, landrace plant, with the scent of the Hindu Kush mountain valley in its genes. It smells very natural, yet very, very, potent. The scent will stay in your nose for a long time and tickle every nerve in your spine. Growing weed from Sour Kush cannabis seeds or cuttings will require a small level of skill. This is a strong plant that will do much of the growing up automatically. Still, you want to put your attention on producing the highest, best quality yield you can produce. It can be grown outdoors, indoors, or in a greenhouse. 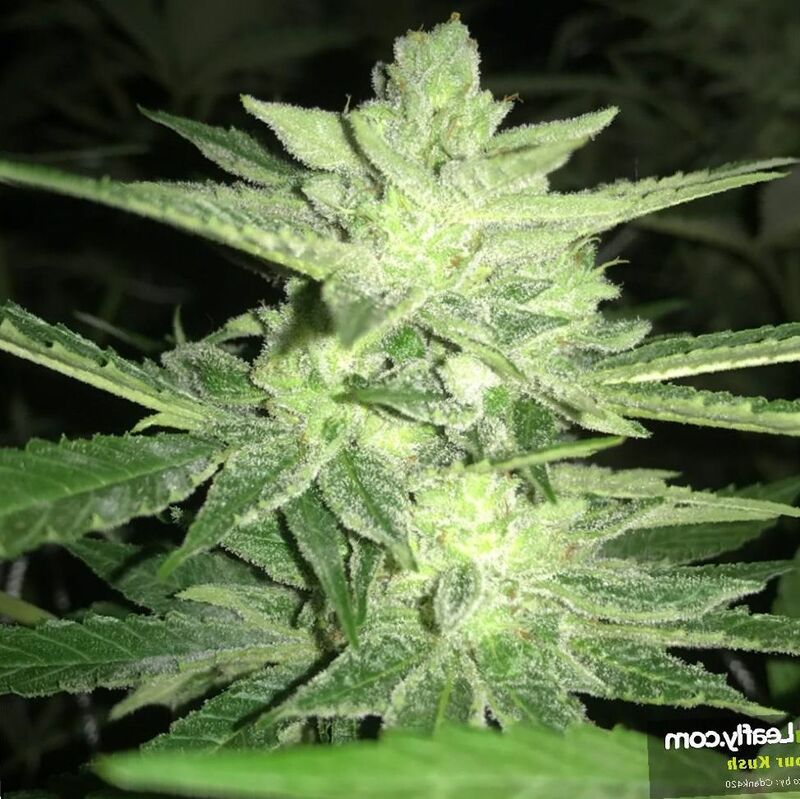 If you grow your plants outside, they will respond to the mild stresses of the environment and produce a bounty of nutrients, terpenes, and cannabinoids, so this is a good choice. Since this plant is a Kush, it will grow strong and hardy. You need to find a spot which has good soil and use a good fertilizer like Flower Power or your favorite personal blend. Be sure you plant away from pests and pollutants. You can expect flowering to occur in the middle of October in the US, and a yield of about 16 ounces per plant. If you grow your plants indoors, use a grow tent. These are medium sized plants so allow them plenty of room. You can use high discharge lamps to light your plants. Put reflective material on the inside of your tent to keep the light focused on your hungry plants so that photosynthesis can occur. You will need an exhaust system with an air filter to keep the air crisp and circulating. Use a fan to move the air. Measure the humidity to keep the air dry to discourage the growth of molds and mildews. You can induce flowering after 9 weeks, using a 12 hours light, 12 hours dark lighting schedule. You can expect a yield of 12 ounces per square meter. If you grow in a greenhouse, you can get the best of both worlds. You can put your plants directly into the ground or use flower pots. Some people prefer that their plants be connected directly to mother earth. There are complicated things going on in the natural soil. Plants communicate through a mycelium network which can be extremely deep beneath the earth. This can be helpful to your plants and infuse them with the essence of the earth. However, your plants can also thrive in flower pots. You can use an automatic watering system or if you have the time and enjoy it, you can tend to the plants yourself. These plants will not require excessive care, but if you want a massive and quality yield, you may want to give your plants extra attention. In a green house you can expect a yield of about 12 ounces per square meter. Sour Kush is a 40 percent Sativa and 60 percent Indica with up to 25 percent THC. Marijuana has been used for centuries to knock you out when you can’t go to sleep. This particular weed has an incredible amount of THC. This is expected to cause you to be stimulated; however, it is composed in such a way, that a paradoxical effect occurs. This weed is an Indica and can induce a strong relaxation effect. You may be glued to the couch or sense your limbs are heavy. Even if there is initial stimulation, the relaxation effect soon takes over and becomes dominant. This is the reason people have used it for insomnia for centuries. It will cause you to forget the concerns which are keeping you up. The muscle pains and tension which have built up over the course of the day will be released and your body will become relaxed. You may get the munchies. After a naughty meal, you are sure to pass out. 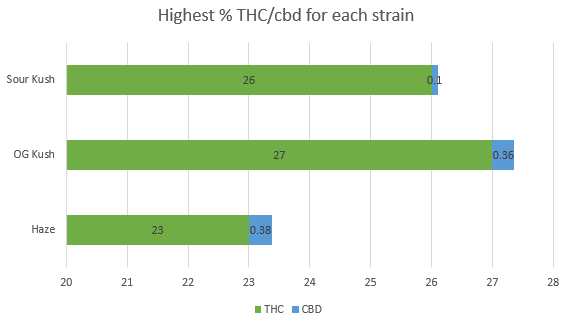 In some states, insomnia is a frequent indication for the use of medical marijuana, especially if there is also a pain condition which can be improved with medical weed co-morbid in the sufferer. The effect of this powerful weed can be described as pure relaxation. The powerful punch of THC and citrus flavor makes this a fast acting weed. It will tickle the nose and throat and move into the brain immediately on the first toke. You will feel a tingle and a halo around the head, as the effect moves into the spinal cord and all throughout the body. This weed will make your limbs heavy and lock you to the couch. Your eyes will become squinted, your perception will be altered a bit. Again, this is a very powerful weed. You will surely get the munchies, so have some healthy food ready. You don’t want to make a habit of pigging out on unhealthy food as this could make any health problems worse or cause a health problem. Once you are full, you will be ready to have a nap. Marijuana can help improve the sleep architecture of someone with depression so that you wake up more refreshed.